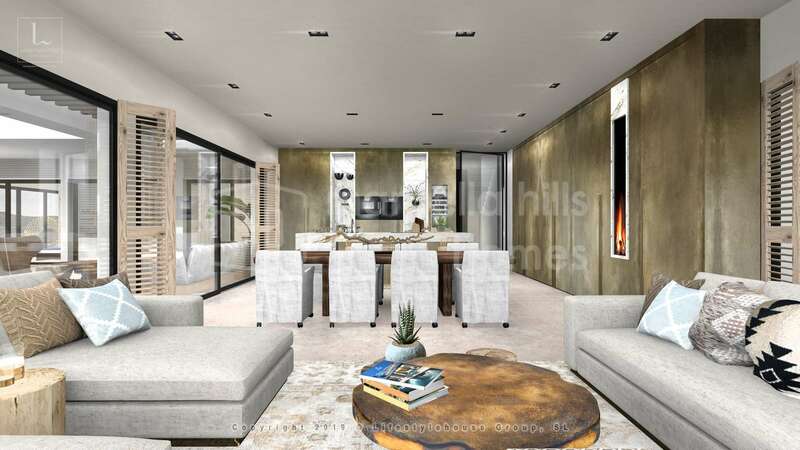 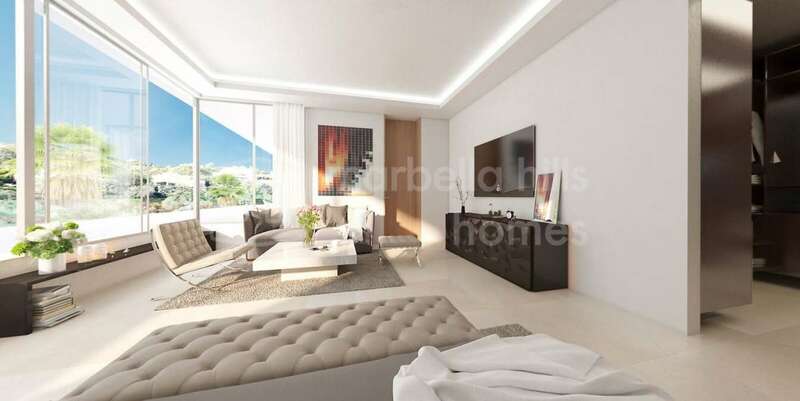 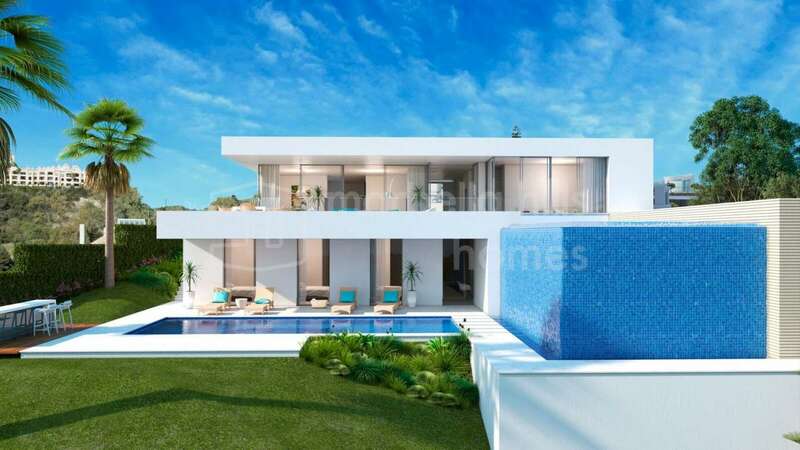 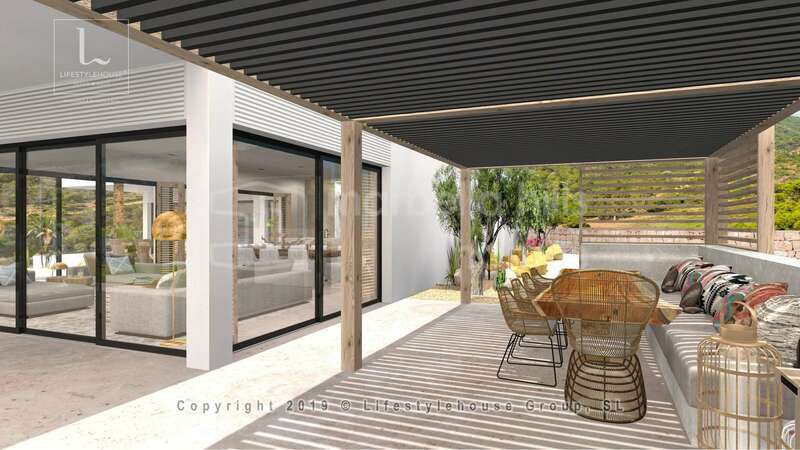 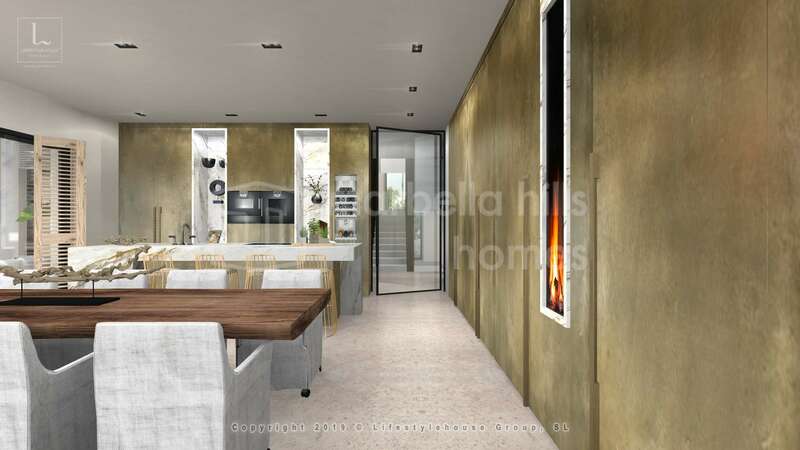 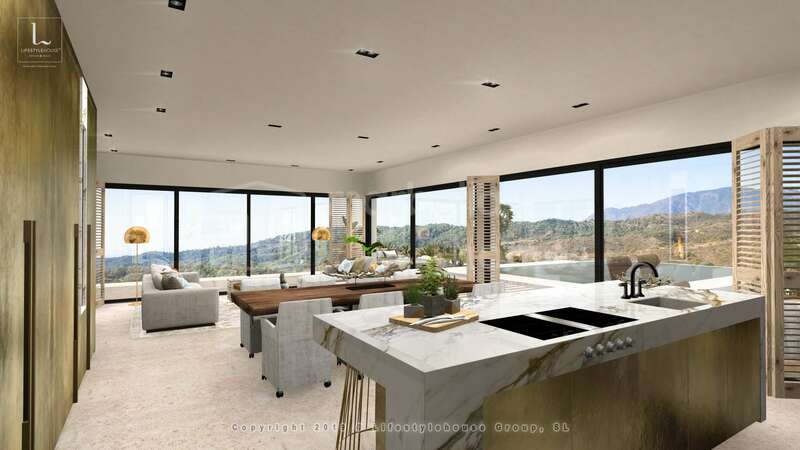 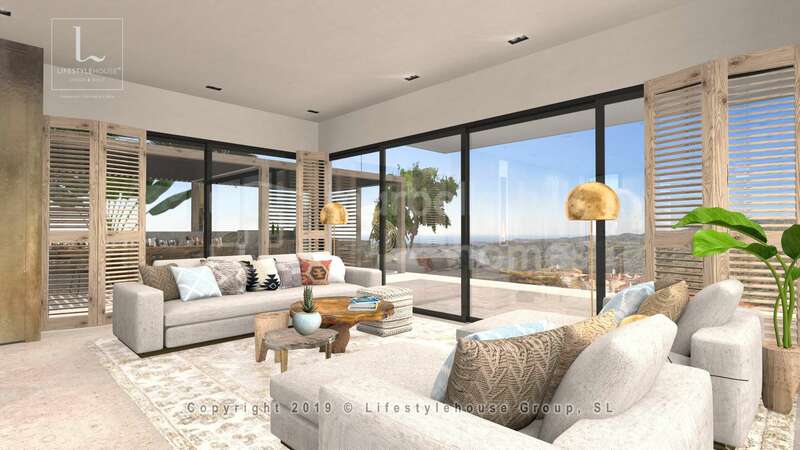 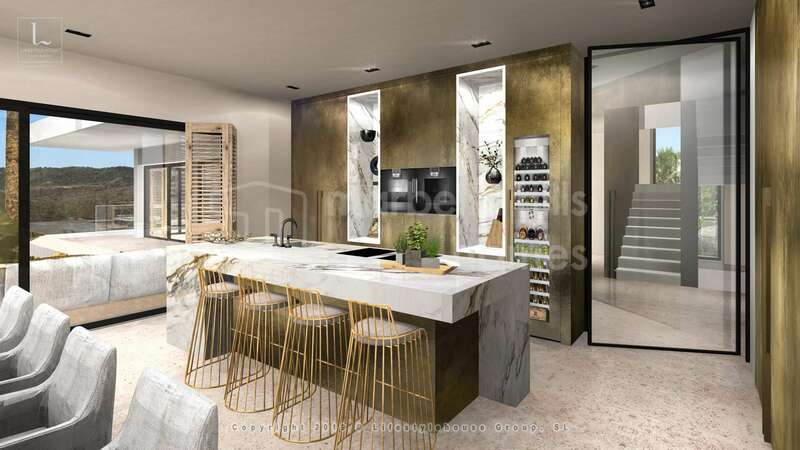 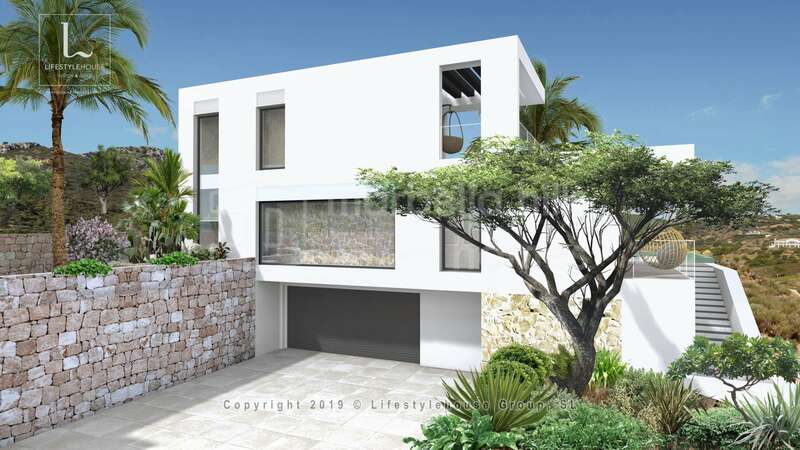 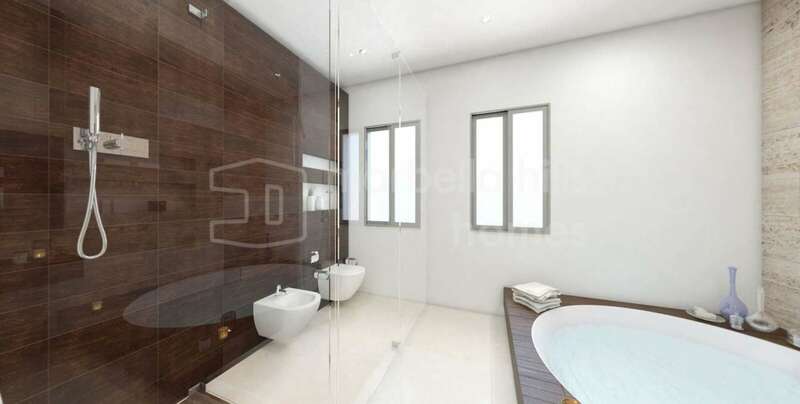 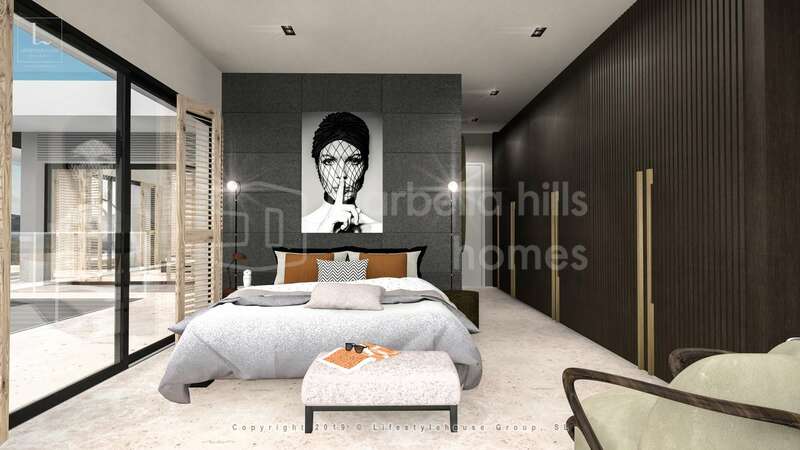 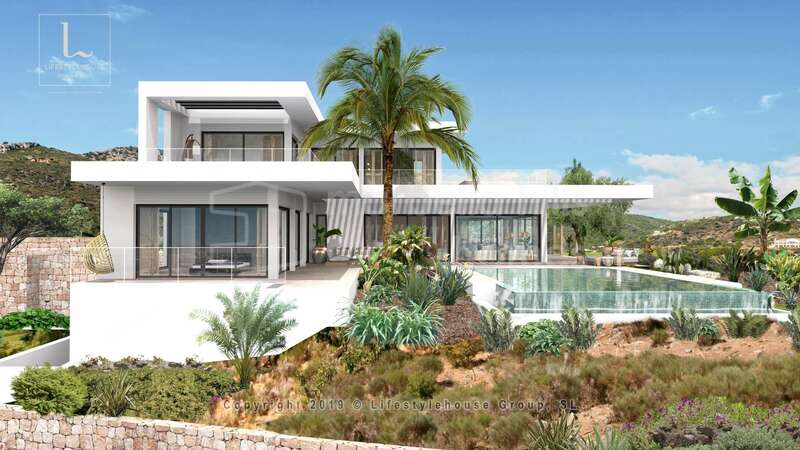 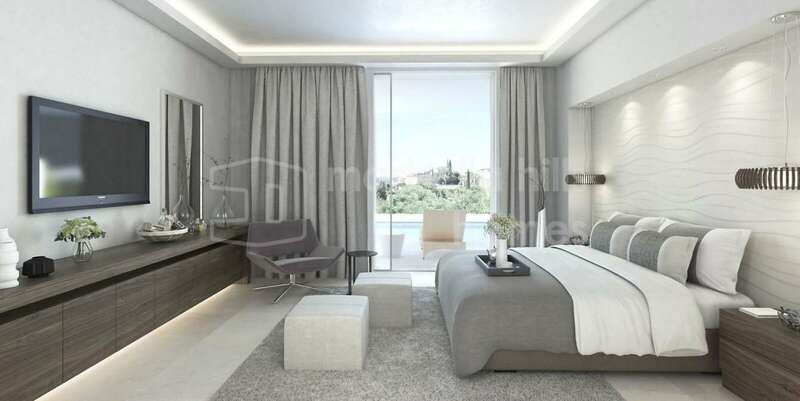 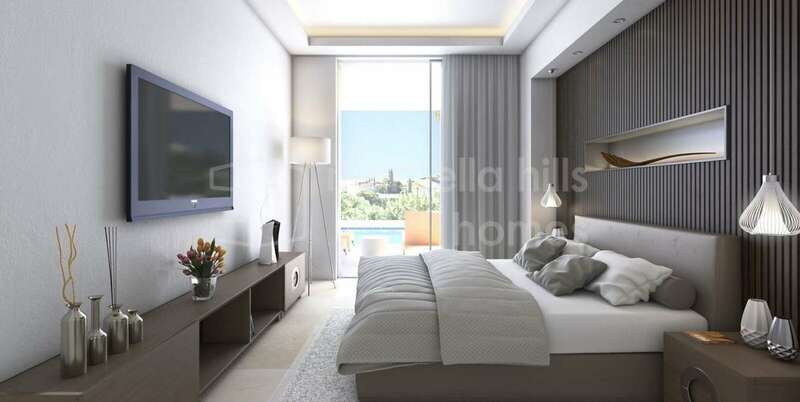 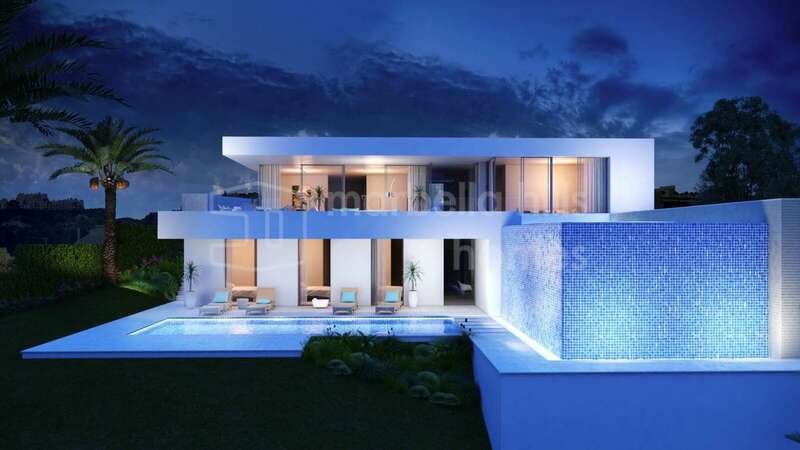 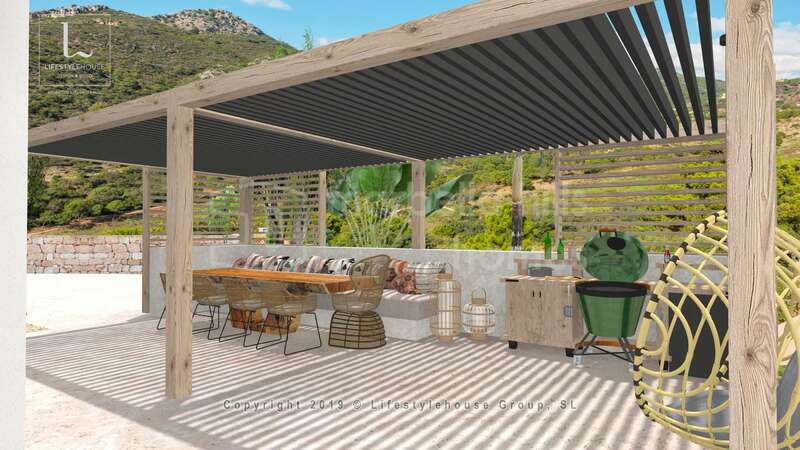 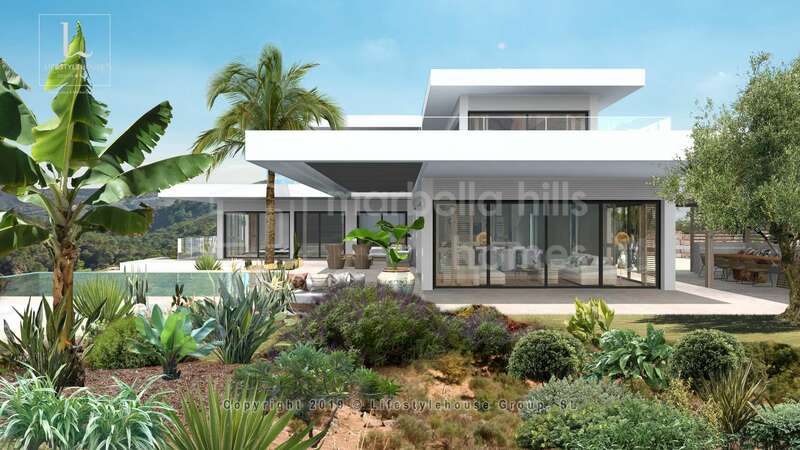 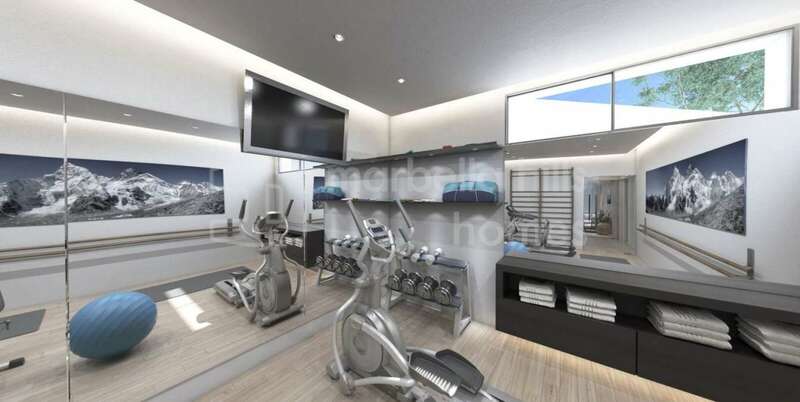 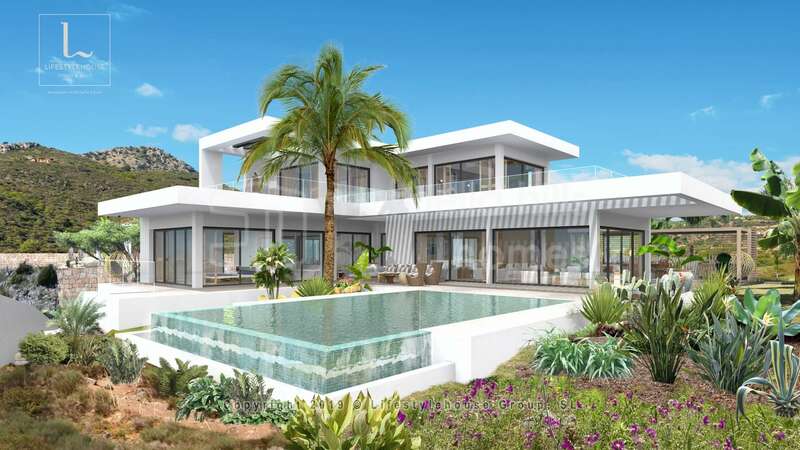 Fabulous contemporary villa with 4 bedrooms and 4 bathrooms superbly located on the mountainside in Monte Mayor within an exclusive Country Club – Private pool and garden – Breathtaking panoramic views of the sea, Gibraltar and the African coasts – delivery expected current 2020. 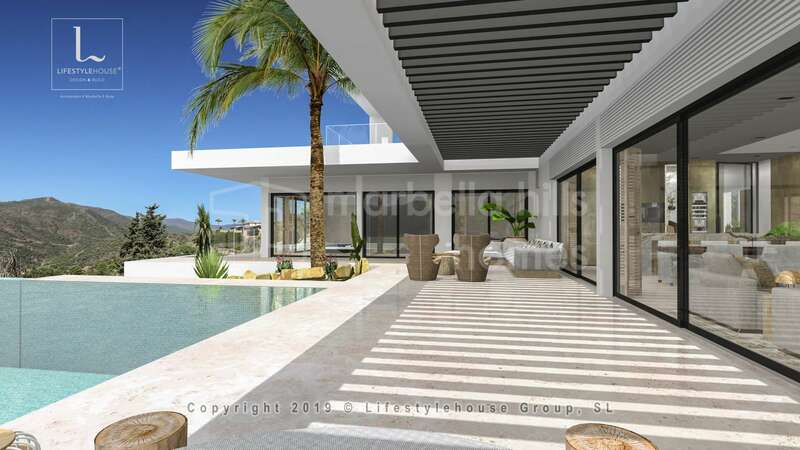 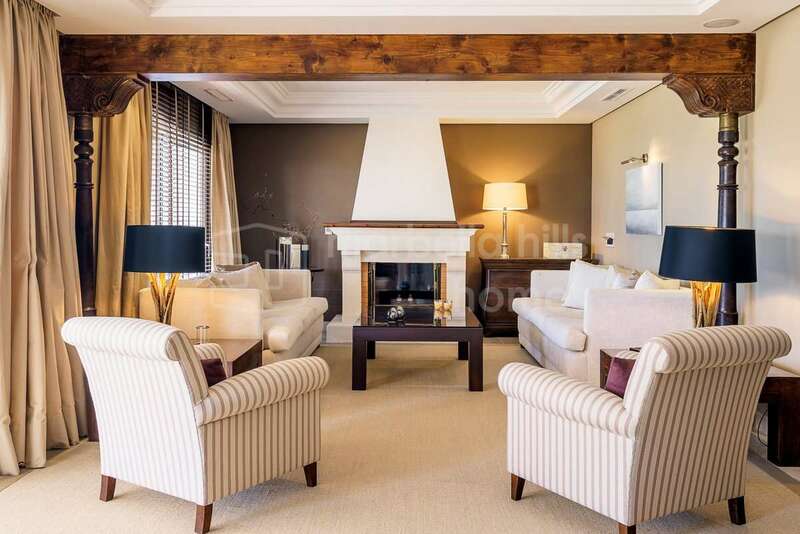 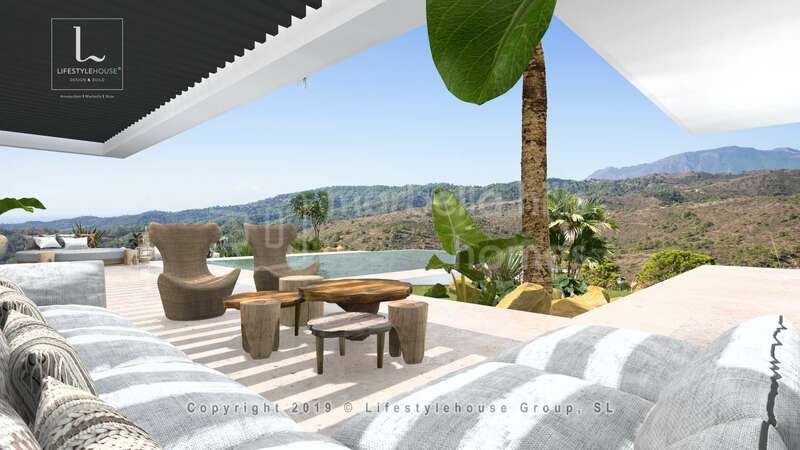 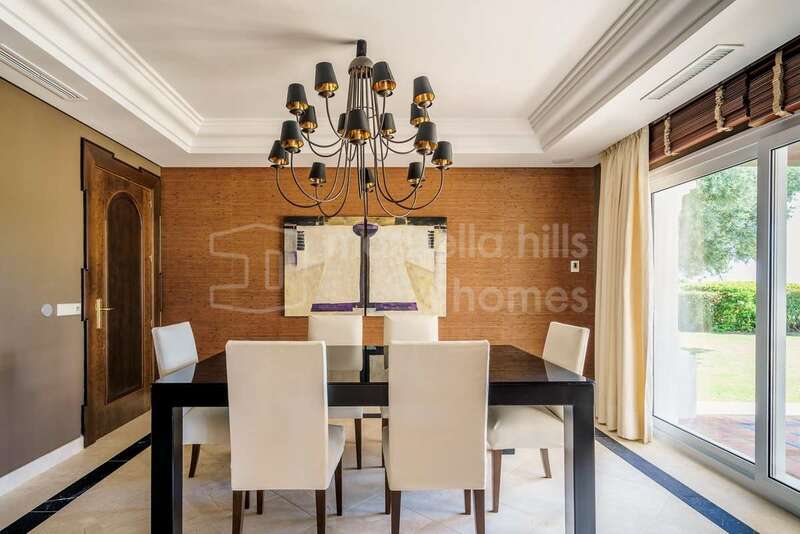 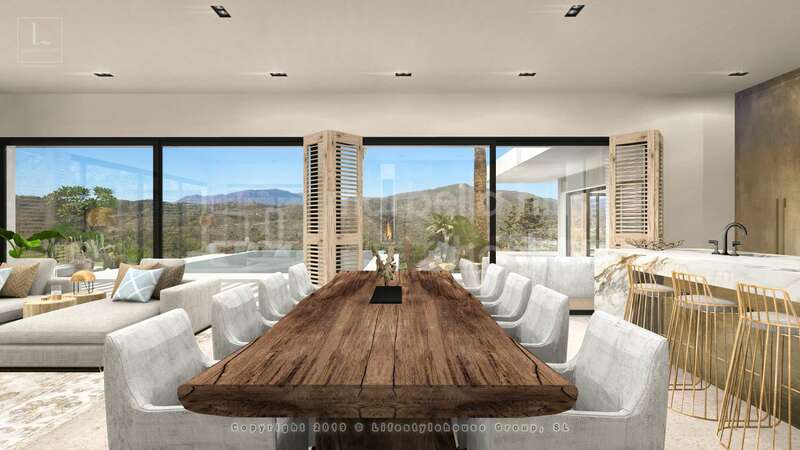 This superb villa designed by an avant-garde renowned arhcitect on a plot of 3,300 m2 enjoys an idyllic natural environment and total confidentiality. 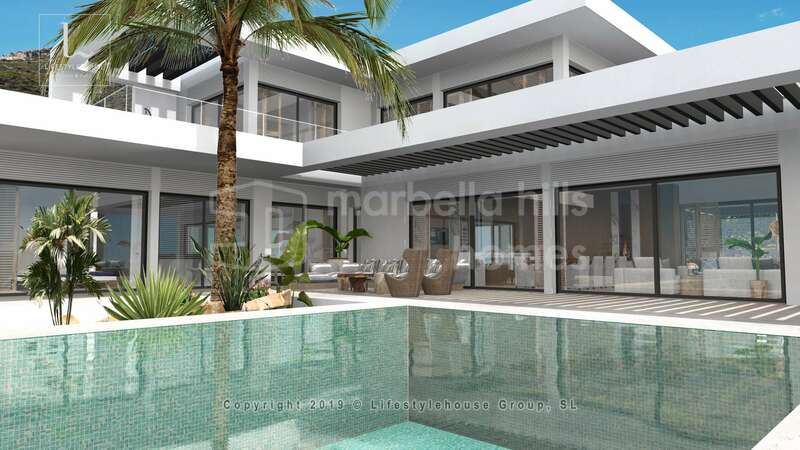 The ground floor comprises a large entrance hall leading to an impressive reception area open living / dining room / fully equipped high-tech kitchen, a guest bedroom with en-suite bathroom, guest toilet – all from the living area gives direct access to a very large terrace hosting a fantastic infinity pool and a landscaped garden paradise – At this level, huge windows allow a flood of natural light taking full advantage of the superb panoramic views. 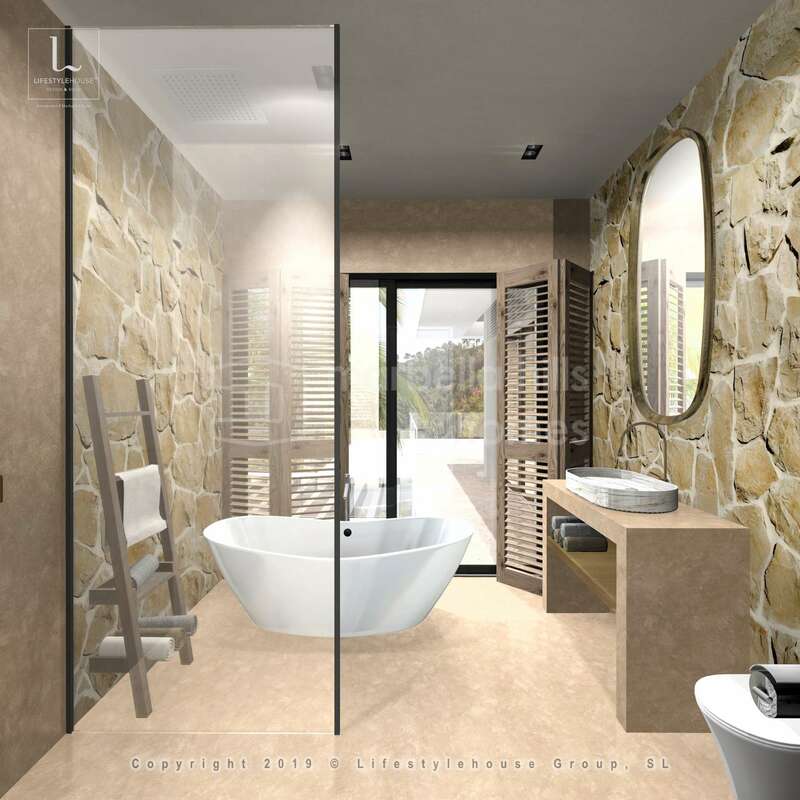 The upper floor has a superb master suite with stunning views and two guest bedrooms – all with en-suite bathrooms and walk-in closets. 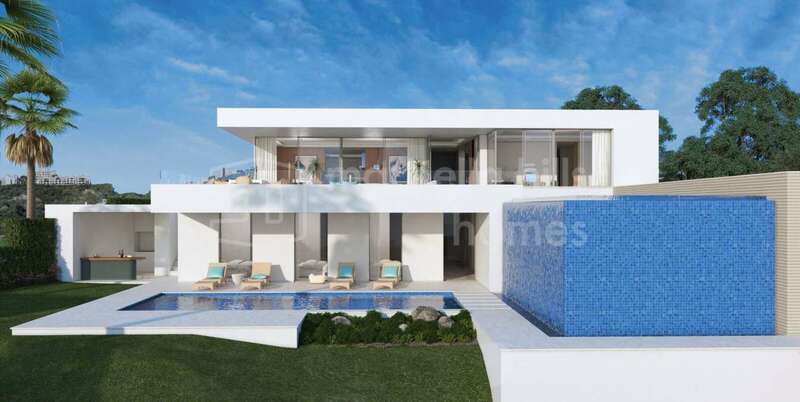 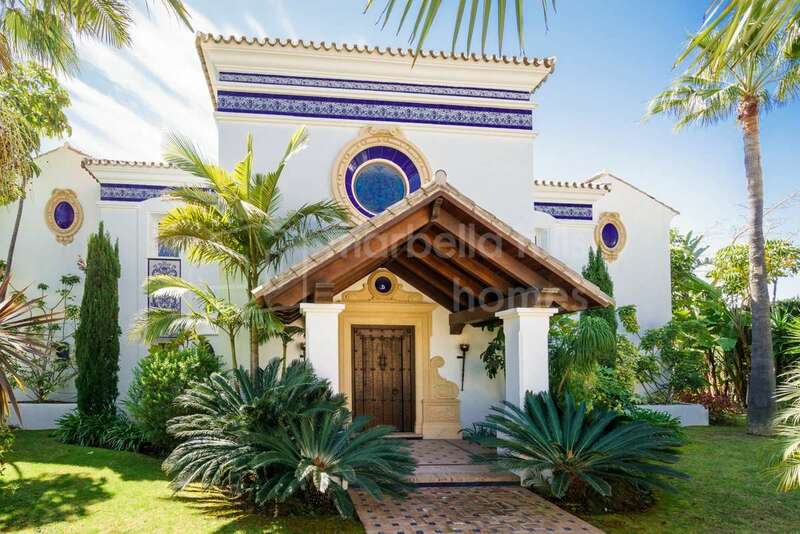 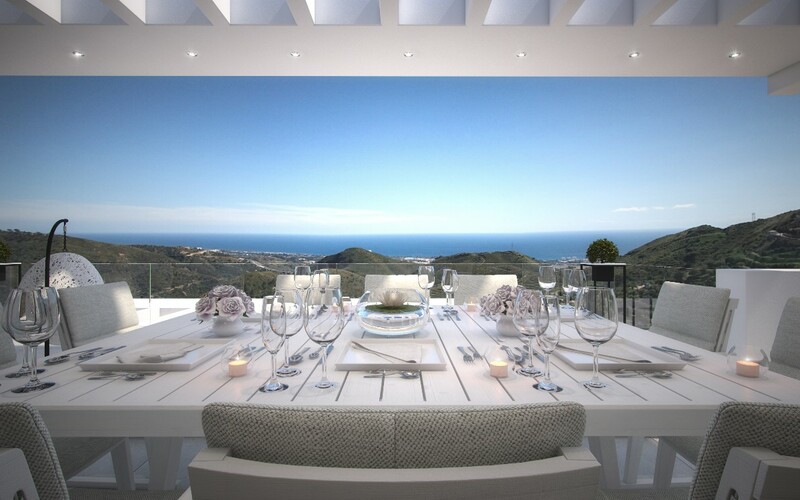 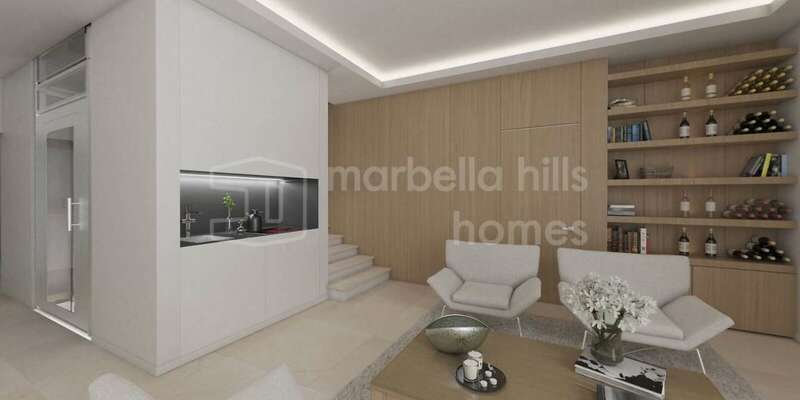 A unique villa only a few minutes drive from Puerto Banùs and the cosmopolitan center of Marbella. 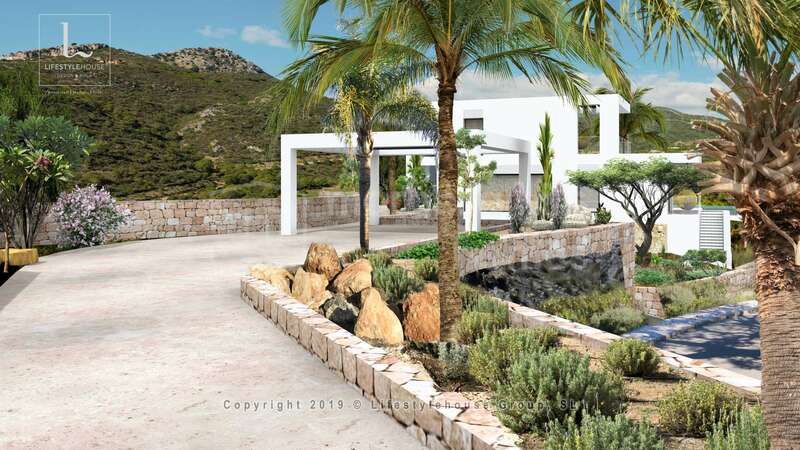 Fully fitted kitchen, Inside Golf Resort, Utility room, Pets allowed, Fireplace, Marble floors, Solar panels, Guest room, Storage room, Double glazing, Brand new, Dining room, Barbeque, Mountainside, Security service 24h, Guest toilet, Kitchen equipped, Living room, Sea view, Country view, Mountain view, Automatic irrigation system, Home automation system, Laundry room, Internet - Wifi, Covered terrace, 24h Service, Electric blinds, Gated community, Air conditioning, Garden view, Panoramic view, Underfloor heating (partial), Unfurnished, Close to Golf, Uncovered terrace, Separate dining room, Open plan kitchen.